Vast numbers of brands continue to launch product-after-product that seemingly fail to serve any extra benefit to consumers, particularly in the FMCG industry. 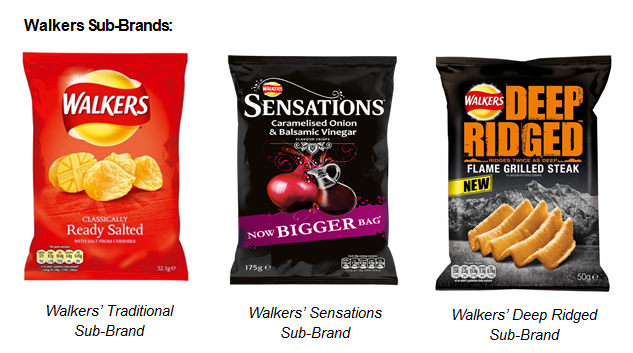 Crisp brand Walkers is a prime example of this, utilising Ansoff’s “product development” strategy to serve existing customers with new offerings – which they believe will ultimately grow overall sales. With Walkers’ ‘traditional’ range cemented as its strongest sub-brand, the brand wasn’t yet ready to accept this market shift, and instead set about its most ambitious product development ever – dubbed the ‘Do us a flavour’ campaign. 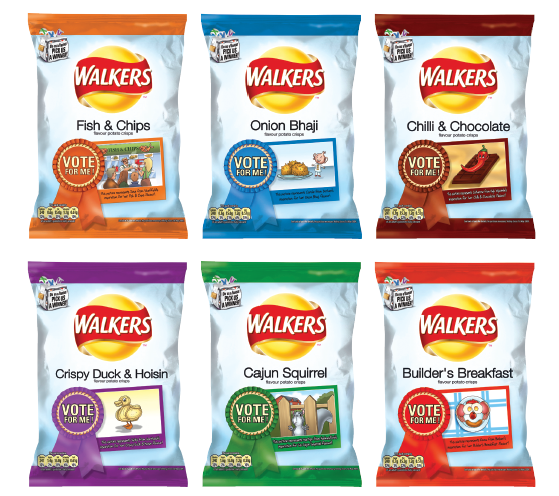 First, consumers were invited to come up with and submit a new flavour, which Walkers’ expert panel whittled down to six finalists to be manufactured and launched for a short period. Then nation were then asked to vote for a winner. After weeks of campaigning and voting, the nation chose ‘Builders’ Breakfast’ to be the next Walkers flavour. ‘Do us a flavour’ was a spectacular success. Over the campaign period, the ‘Do us a flavour’ idea outperformed category year-on-year sales growth by 68%. Walkers also achieved its highest value market share for three years. It attracted a deep level of consumer interaction with the brand, with over a million flavour suggestions. 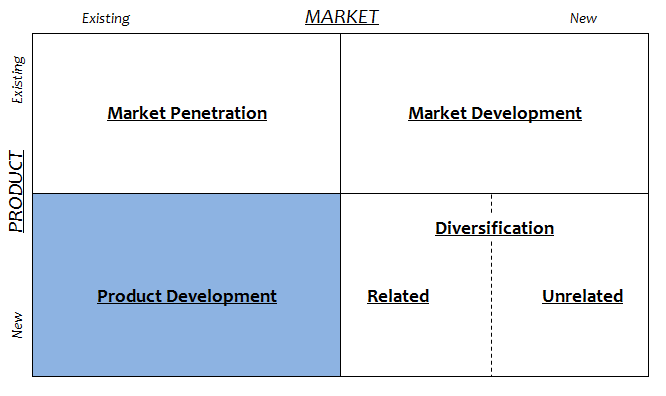 Even more significantly, it showed how combining product development with a marketing idea could affect every aspect of the business. However, the key proof of the concept in Ansoff’s “product development” strategy was the impact on core Walkers buyers, whose average number of flavours purchased rose from 2.9 to 4.8, therefore breathing life into the brand for these evangelists. Hollebeek (2011) emphasises the importance of co-creation in the customer experience to maximise engagement, as offered by Walkers in suggesting flavours and ultimately deciding the winner to become its new flavour. The success of Walkers product development strategy, as subsequently repeated in 2014, is a key working example to marketers that customer retention can be profitable and grow sales, at a time when too many firms continue to focus on acquiring new customers. More than this however, it demonstrates that the goal for marketers should not simply be to analyse and adapt to market trends, such as the shift towards premium and other crisp variants, but to leverage its brand strength to influence the market in a way that favours their brand, which allowed Walkers to regenerate growth in the traditional crisp segment. This entry was posted in Marketing Mix and tagged Ansoff Matrix, Crisps, Customer Engagement, Customer Retention, Do Us A Flavour, FMCG, Product Development, Walkers. Bookmark the permalink. I love, love, Love this article. I was looking for a current market dynamics of walker crisp for my assesment. Thanks a lot. Thanks very much for the comment. I’m glad you enjoyed the article and best of luck with your assessment! My pleasure – it’s nice to hear I can help. All the best with the exams!